I still remember the telephone call on Saturday night, Nov. 18, 1978, from Rod Gander, the chief of correspondents for Newsweek. Rod, a wonderful man and good friend who died in 2007, told me to head to then-National Airport [now Reagan Airport], where I was to meet a team from The Washington Post heading to Guyana. I barely knew where Guyana was. A California congressman, Leo Ryan, had reportedly been shot while visiting an American group, The Peoples Temple, which had started an agricultural commune in the country. Ryan and some reporters had visited the compound to investigate charges of abuse. We arrived in Georgetown, the capital of Guyana, early the next day to discover the remote compound in the jungle was only accessible by boat or one small airplane available for charter. A few details started to emerge. Ryan, reporters who had accompanied him and a few temple members who wanted to leave had been shot by gunmen sent by Temple leader Jim Jones as the group waited leave in two small aircraft. We did learn that Ryan had died, becoming the only congressman ever killed in the line of duty. A few seconds of the shooting were captured by NBC cameraman Bob Brown, who also was killed. Photographer Greg Robinson, NBC reporter Don Harris and Temple defector Patricia Parks were killed. Nine others were injured. On the Spot: Washington Post photographer Frank Johnston and I flew to the site in a single-engine Cessna still spattered with the blood from one of those shot during the attack. Johnston and I were among only a handful of journalists to make it in to see the compound and the devastation. 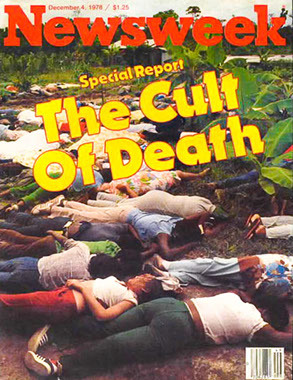 The site was officially called the People’s Temple Agricultural Project, but was actually known as Jonestown after Jim Jones, the fiendishly charismatic leader of the Peoples Temple. Jones had brought his congregation, many of whom were African-American, from San Francisco to this remote section of the world because he had read an article saying it was one of the few places that would survive a nuclear holocaust. repeat it. His body was found near his throne. The government of Guyana had stationed only a few guards at the compound, so it was easy to walk around. Cyanide appeared a dreadful way to die. The victims suffered convulsions, then an inability to breathe and cardiac arrest. The twisted faces of many victims underlined how terrible their last few minutes had been. Aftershocks: It took me months to get over the nightmares from what I saw. It took a lot of Jack Daniels and some sessions with a psychiatrist. The sight still sticks with me more than 30 years later. It is almost impossible for me to adequately respond when people ask me what it was like. I think I understand how soldiers felt when they liberated the concentration camps in World War II: numb. Two weeks later, I received a 44-minute audiotape of that night from an anonymous source. I don’t know who sent me the recording, but it included the voice of Jones urging his followers to join in the suicide. It was almost as bad as seeing the result to hear the actual event of so many people dying. Throughout the years reports surface about people from Guyana who want to create a tourist attraction. A plaque commemorating the event stands at the compound. Fortunately, the site is so isolated in the jungle people can arrive there only via chartered aircraft. The site is better left forgotten even if the events and the people should be remembered. Hard Case: After Jonestown I went on to see more inhumanity, covering death throughout the world, including the massacre of Palestinians in Sabra and Chatilla camps and the attack that left 241 Marines and U.S. Navy seamen dead in Beirut. Jonestown did not prepare me well. It simply hardened me and it’s taken a long time to get over that feeling if I actually have. I felt fortunate I had left journalism when 9/11 happened. It would have brought back too many bad memories if I had had to cover that. Few people remember the details of this incredible event today. Its most lasting impact may be its contribution to the language; “drinking the Kool-Aid” is now the cliché for an act of self-destructive blind faith. It is sad that even this is misbegotten. I’ve tried to constantly correct journalists, reminding them it was Flavor Aid, not Kool-Aid, that was used. While my memories stay with me today, the only memory most people have is a cliché that happens to be wrong. Chris Harper joined Newsweek in 1975, served in Chicago, Washington, D.C., and Beirut and left the magazine in 1980 to join ABC News. only through my mouth for the several hours we were on the ground. Death Camp: The site matched scenes from the Holocaust: The corpses of more than 900 men, women and children were strewn about, often elbow to elbow, as if in family groups. The sight was simply overwhelming—so much so that we only realized later that the original body count of 400 was less than half of the final death toll. People lay on top of one another, and it was only when forensic specialists analyzed the scene that the actual death toll of 909 was confirmed. The victims committed suicide or were murdered on the orders of Jones in what he called a “White Night.” Jones had convinced himself and some of his followers that the CIA and the U.S. government intended to attack the compound. At practice White Nights, Jones would harangue his followers, offering “revolutionary suicide” as an option to a government attack. Nothing happened until the night after the congressman was murdered. Killer Drink: Large vats had been set out with a concoction of the fruit punch Flavor Aid mixed with cyanide and Valium. The babies were given the cocktail first. Older children and adults lined up to drink the poison, although some of Jones’s followers with guns encircled the pavilion to make certain everyone participated. Only a few people escaped that night. Jones was shot either on his own instructions or by one of his followers angered by what had taken place.